Made in very high quality, supple black cowhide. Fully lined with a waterproof liner. Heavy duty composite non-slip soles. 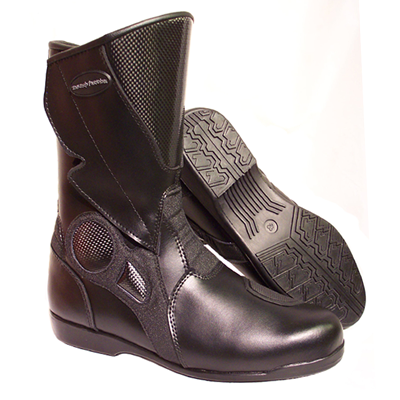 Inside zip and Velcro fastening plus outside Velcro fastening for comfortable adjustment and a close fit. Carbon Kevlar shin and ankle protection. Kevlar back ankle strip for flexibility.